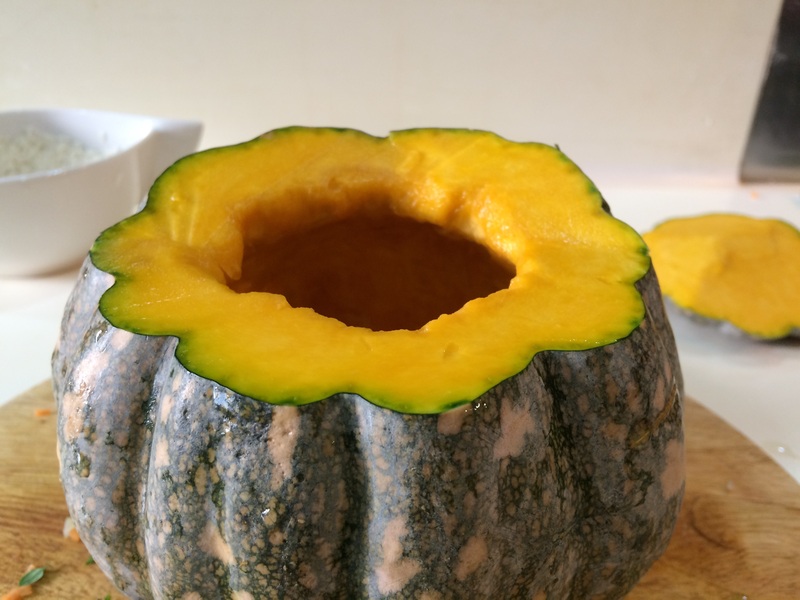 Beautiful and versatile in cooking, pumpkins are a gem. 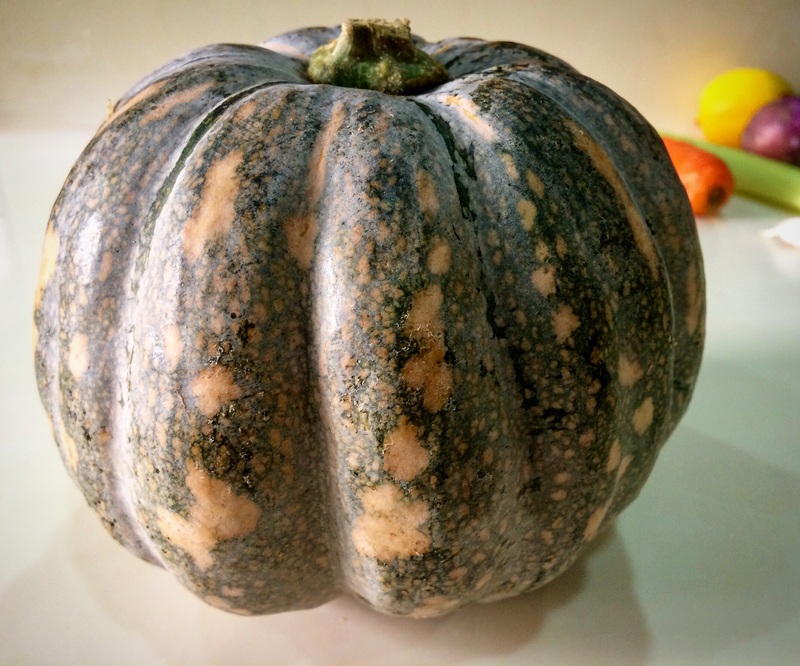 There are so many delicious recipes that can be made with the humble pumpkin. 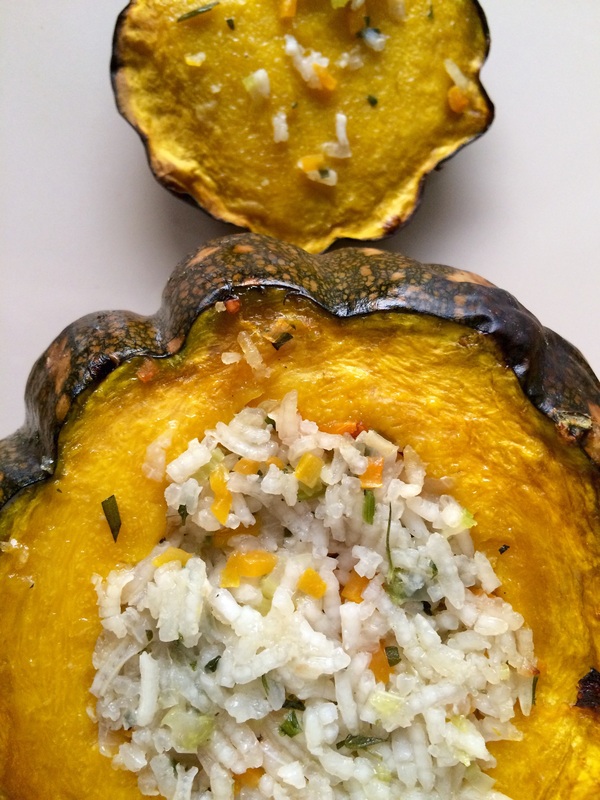 Herbed rice stuffed pumpkin is a very simple and appetising side dish. I love serving it with roast or grilled meat or chicken. 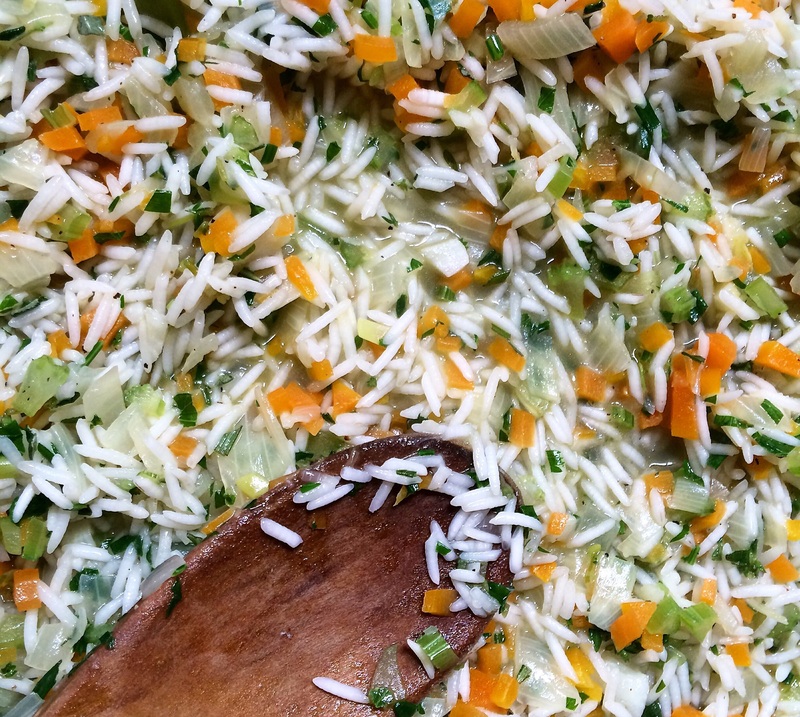 Adding garden herbs to the rice along with chicken stock make it ooh, so tasty! Wash the pumpkin scrubbing all the possible dirt leftover. With a sharp knife cut the top off in a circular shape creating a lid. 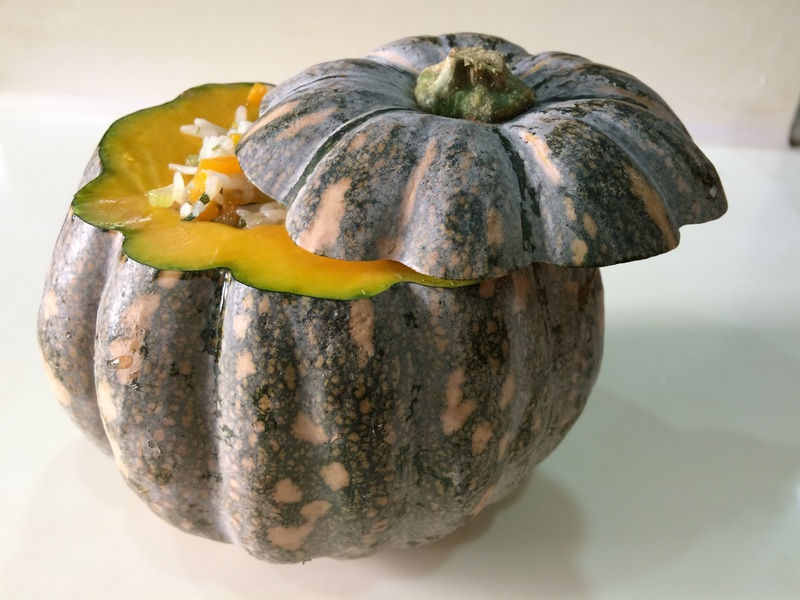 Remove all seeds out of the pumpkin using a tablespoon. Heat oil in a frying pan over a medium heat, then add onion and garlic, sauté till translucent. Add carrot and celery, cook for another minute or two then add rice and chicken stock. Stir and simmer for 10 minutes or till rice is almost done and the stock has reduced, but not completely, there still should be a little bit left. 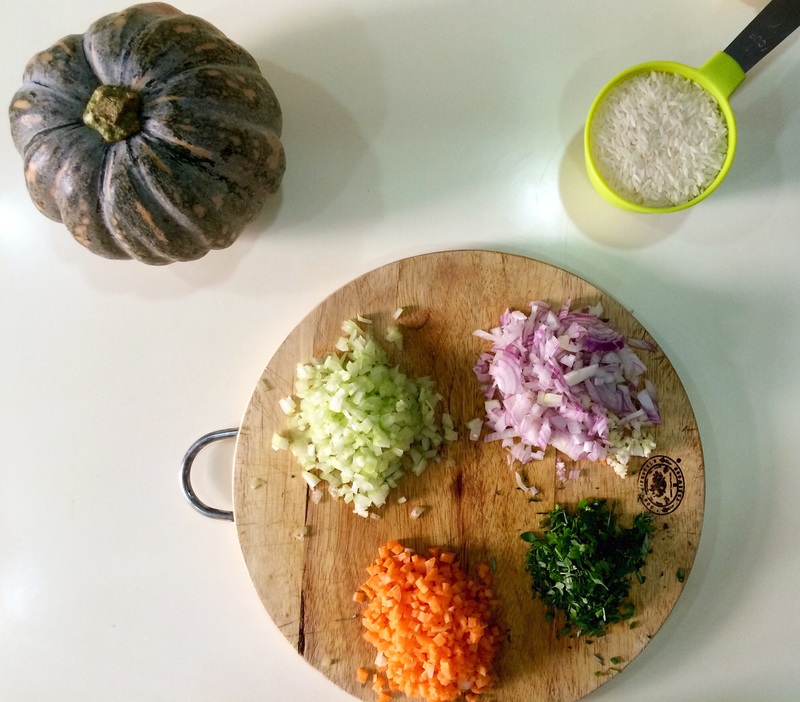 Season with salt and pepper, add herbs and lemon zest if desired, stir well and fill into the pumpkin. Place the pumpkin lid on. Bake for up to one hour or till pumpkin is cooked through and is soft to touch. Add a bit of a shredded leftover roast chicken meat to the rice before filling it into the pumpkin and cook as directed above. That will give you a nutritious and a hearty lunch or dinner.